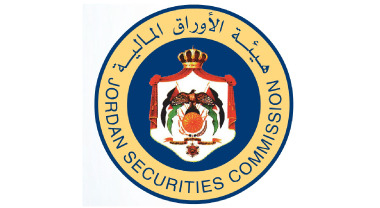 The Jordan Securities Commission (JSC) was established in 1997 as a public institution with financial and administrative autonomy to develop, regulate and monitor Jordan’s capital market to maintain a sound investment environment and protect investors. The JSC is entrusted with developing the capital market in accordance with international standards to secure fairness, safety and attract domestic and foreign investors. Since its inception, the JSC has been working on developing and upgrading the regulations governing the capital market and its institutions to ensure higher levels of protection and transparency. It has issued relevant regulations that monitor the activities of financial services companies, enforce disclosure regulations and help investors make informed investment decisions. In order to ensure fairness, sovereignty and proper administration of the rule of law, the JSC continuously enforces the Securities Law and its related regulations. To maintain market integrity, the JSC regulates, monitors, and supervises the business operations of the Amman Stock Exchange, the Securities Depository Center, financial services companies, public shareholding companies, investment funds and certified financial professionals. Furthermore, the JSC is committed to securing investor protection and market development and to enforcing disclosure of information regulations pertaining to the securities market.